The official UFC rankings have been updated in the days following last weekend’s (Sat., September 8, 2018) UFC 228 from the American Airlines Center in Dallas, Texas. 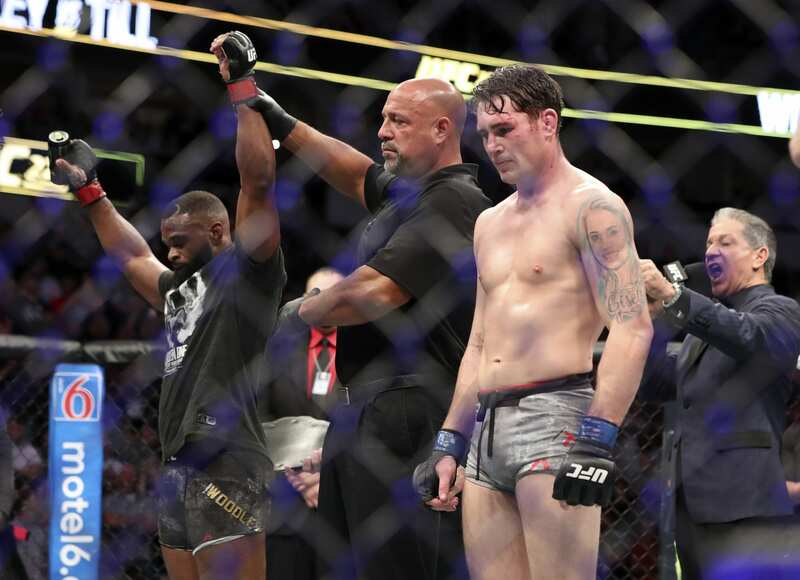 In the card’s headliner, welterweight champion Tyron Woodley submitted touted rising challenger Darren Till to become the longest-reigning current UFC champion. For his efforts, he earned a massive one spot rise on the pound-for-pound list, putting him behind Conor McGregor, Max Holloway, and Georges St-Pierre. McGregor has been out of action for almost two years and will return at October’s UFC 229. Holloway had a dominant 2017 but has since seen three high-profile fights fall apart in the first seven months of 2018 with his health now a major question. 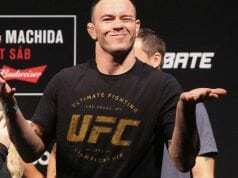 St-Pierre has fought once in the last nearly five years, most recently defeating a now-retired Michael Bisping before promptly vacating the title last November. All are amazing fighters to be certain, but it’s also safe to ask if Woodley is getting his fair due as one of the most decorated and dominant champions of the current era. It’s also safe to ask if the UFC rankings are a legitimate picture of what’s really going on in the sport because of it. But that’s a larger discussion for another time. In terms of other movement, women’s featherweight champion Cris Cybrog and flyweight champion Henry Cejudo moved up one spot each on the pound-for-pound list, pushing middleweight champ Robert Whittaker down two spots. Two women’s divisions saw a ton of movement in the fallout of UFC 228. Surging strawweight Tatiana Suarez rose five spots to No. 4 for her dominant TKO win over former champion Carla Esparza, who fell two spots to No. 8. Jessica Andrade held firm at No. 2 following her KO of Karolina Kowalkiewicz, who fell one spot to No. 5. At flyweight, a mess was incited when former champion Nicco Montano was hospitalized before the UFC 228 weigh-ins. The promotion stripped her of the title and her scheduled opponent Valentina Shevchenko became the No. 1-ranked fighter at 125 pounds. Montano fell two spots to No. 2, Sijara Eubanks did the same to No. 4, and the rest of the Top 15 slid as a result.